As women break barriers at nearly every level, STEM fields – Science, Technology, Engineering and Math – remain male-dominated. The few brave women who pursue a STEM path are often pushed out by discrimination, intimidation, and harassment. 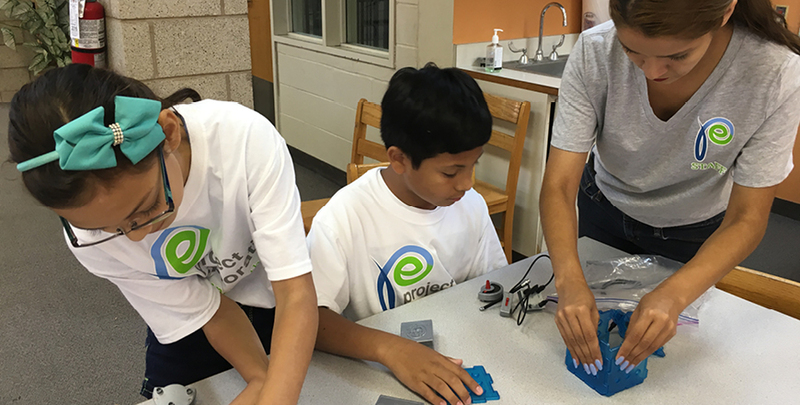 In school, from elementary to college, girls are rarely encouraged to see STEM as an option. Project Exploration has spent nearly 20 years working to change that. 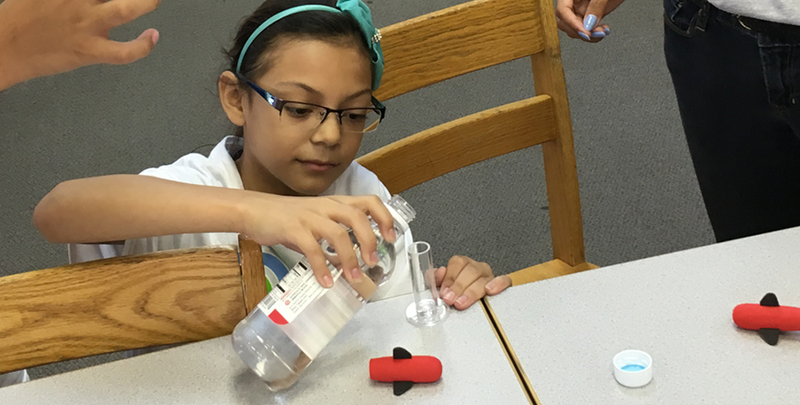 Through the Sisters4Science program, Project Exploration sparks interest in and engagement with subjects that are not currently popular among girls. In 2014, a national study found that only 3% of high school girls were interested in engineering, compared to 31% of males. The study also revealed that just 2% of girls reported being interested in technology, where 15% of boys expressed an interest. Melissa wants to be a singer and a doctor, and credits the Sisters4Science program for sparking her interest in the latter. She recalls visiting Northwestern University where among her peers, she was only one of two “brave souls” who touched a brain. “It felt kind of gooey, kind of gross,” she admits. Of the type of doctor she wants to be, Melissa happily shares, “I want to be one of those doctors that does checkups on people’s ears. I had experience with it. It’s cool to imagine using a machine to take out all of the earwax…I’m actually making the world a better place!” Melissa also has had the opportunity to work alongside her brother, Daniel, who is in the boys’ program, Brothers4Science. He wants to be an engineer, and recalls his favorite memory of Project Exploration was being able to go on a plane ride at Lewis University, and also try one of the simulator games. “Project Exploration helped them to believe in themselves and go to college. 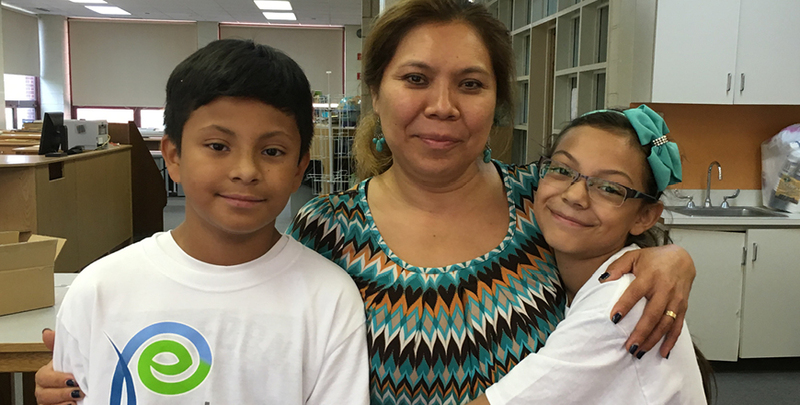 To hear that my son wants to be an engineer, or that my daughter wants to be a doctor is more than a parent could ask for,” shares Gloria Alfaro, the mother of Melissa and Daniel. 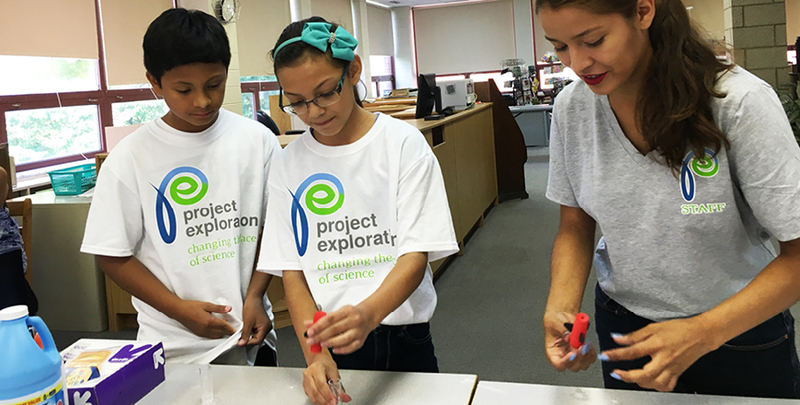 Project Exploration and its commitment to girls’ interest and development in STEM is central to Chicago Foundation for Women’s 100% Project, a bold vision to end gender bias and increase economic security for women. In addition to women being paid equitably and having access to equal opportunities, girls must also be encouraged and inspired to pursue paths not often taken.